If you are logged into you mojoPortal content management site and viewing a page for which you have edit permissions, you will see a pencil icon in the upper right corner. 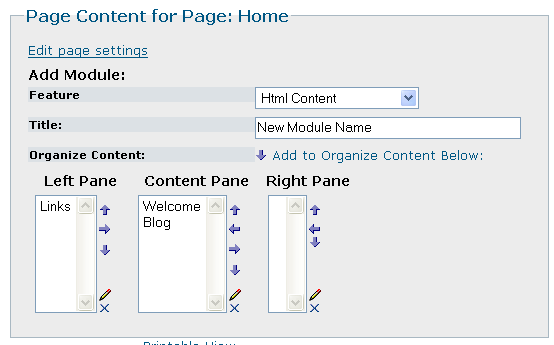 Click the pencil icon to add/remove content modules on the page. You can try these features your self using the online demos. As shown below, you can choose a feature, Html Content, blog, RSS Feeds, Gallery, etc. Name the instance of the feature and then click the Add link to add the feature to the page. 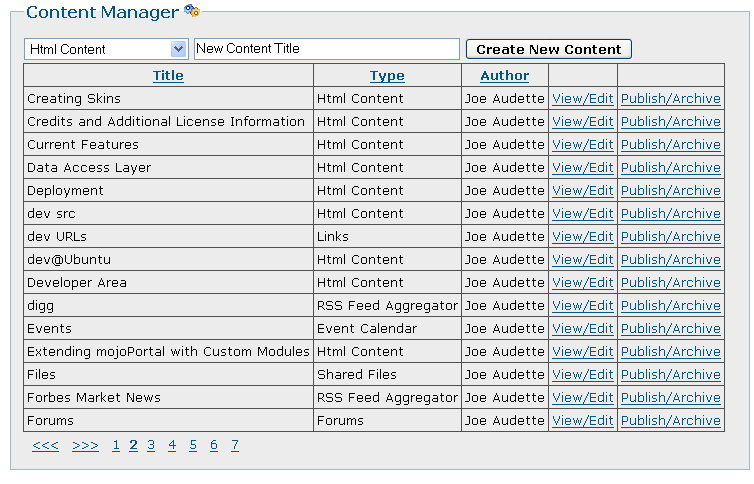 Users in the Admins or Content Manager role can also add or edit any content available in the site or publish content on any page using the Content Manager. 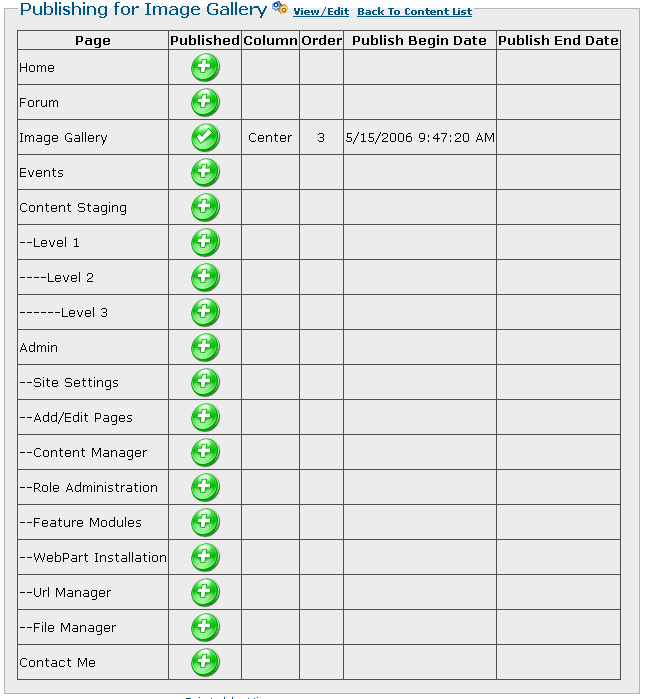 The Content Manager allows you to page through a list of content in the content system with features to view, add/edit or publish the content as shown in the screenshots below.